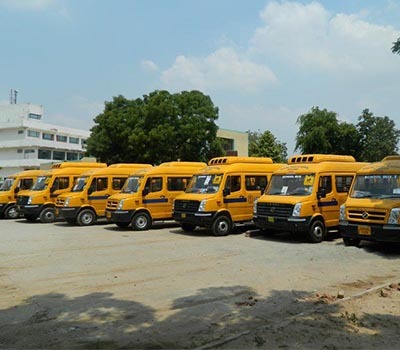 Transport is an integral part of an organization and we have always strived to give the best to the student availing the transport facility. 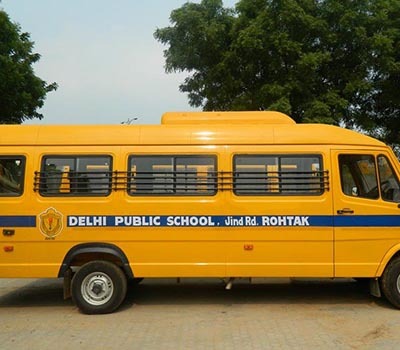 DPS Rohtak provides a fleet of over 40 buses which play on all the routes of various localities in Rohtak. The buses are well maintained with trained drivers & lady attendants. We strive to provide safe, comfortable, convenient & timely student transportation to and from school and also extra- curricular events. All our buses are equipped with first aid kits, GPS system and RFI (Radio Frequency Identification). 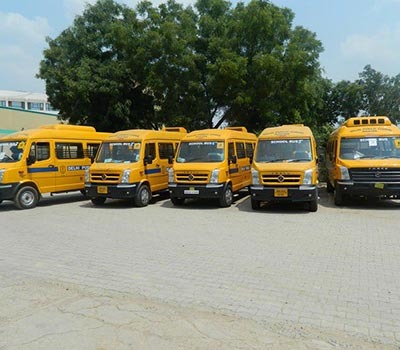 The bus staff is regularly trained to take care of the students while they are using the school transport. 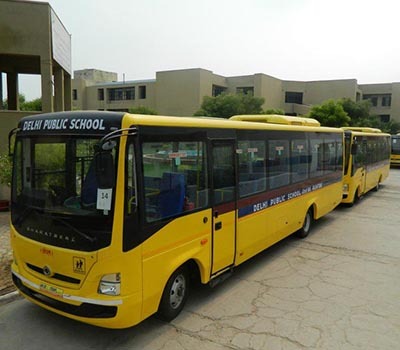 Students can avail the school transport arrangements subject to the availability of seats and the nearest boarding point within 500 meters will be assigned by the school. In case of any change, application for school transport, transport cancellation, change of bus stop etc. should be submitted to the one month in advance. Students travelling by the school bus should compulsorily be in proper school uniform and must carry their ID card along with them. Each student is expected to board or alight from the school bus only at allocated bus stop. Parents of students are not permitted to travel in the school bus under any circumstance. Parents are advised to see the children are escorted to and from the bus at their respective bus stop on time for the safety. The drivers are authorized to stop at designated stops only unless otherwise directed by the bus teacher in charge. Students are expected to behave in a disciplined manner. Bus facility will be cancelled for those who are found guilty in damaging any bus fittings or indiscipline act in the bus. Misbehavior in bus will be dealt seriously by the school authorities.